FDCA GMP Certified & ISO 9001:2015 Certified Manufacturer and Exporter of Cosmetics, Cosmeceutical, Skin Care, Hair Care, Baby & Personal Care, Herbal Care. We also do Contract Manufacturing & Private Labeling. 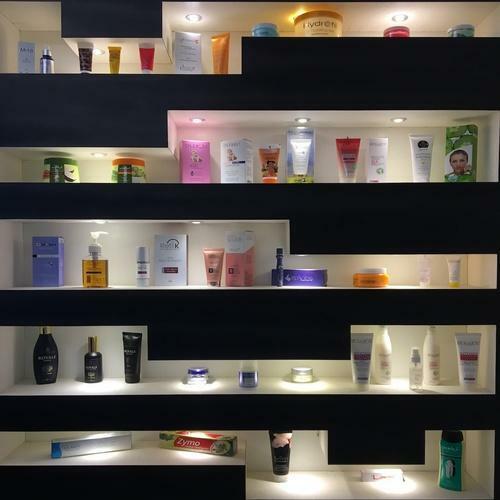 We have a blend of experience and expertness in manufacturing high quality cosmetic products. We are involved in manufacturing and exporting here mentioned products with international standards. We follow strict quality check measures so that we can offer flawless products to our customers. Our R&D Department is mature enough to go beyond the listed products and develop new concept as per our client requirements and specifications. Well known for their high quality and effectiveness, our products are a hit among the clients. While we have our own state of the art product range, we also provide the facility of “Private Labelling”. We allow our clients to use their own brand name and design art work on our products. We also accept the specifications from our clients about their requirements of the ingredients and produce the products on the same ingredients. The Perfume and Color can also be adjusted as per our client's requirements.